Wholesale colocation provider RagingWire has bought a 19-acre site in Itasca, adjacent to both the O’Hare International Airport and the Hamilton Lakes Business Park. According to a report in Chicago Business, the Nevada-based company is planning to build a 200,000 square foot (18,850 sq m) data center, and could eventually expand it to 550,000 square feet. Last year, RagingWire told Data Center Frontier that it would be building multiple facilities across the US, as part of a plan to target larger wholesale deals and conquer the cloud provider market, all with the support of its parent company, NTT Communications. 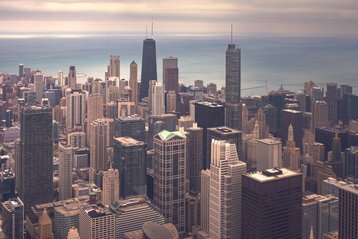 Last week, Stream Data Centers announced plans to build a 15MW data center on the outskirts of Chicago, also located in close proximity to the O’Hare airport. According to the company’s vice president of marketing James Leach, part of the plan is to showcase RagingWire’s ability to scale up rapidly, and in multiple markets. The company has its eyes on Silicon Valley, and both the Greater New York and the Greater New Jersey areas as potential locations for future data centers. RagingWire’s existing sites, which total 1,500,000 square feet of data center space and 113MW of power capacity, are located in California, Virginia and Texas. Chicago is one of the country’s primary data center markets. Competition for real estate in the city is high, while vacancy rates and existing colocation supply are low – to the point that last year, according to a CBRE report, data center deals were lost due to providers’ failure to deliver capacity on time. In October last year, the report claimed, the third most populous city in the United States had 40.8MW of capacity at various stages of construction, 28.6MW of which were already pre-leased.